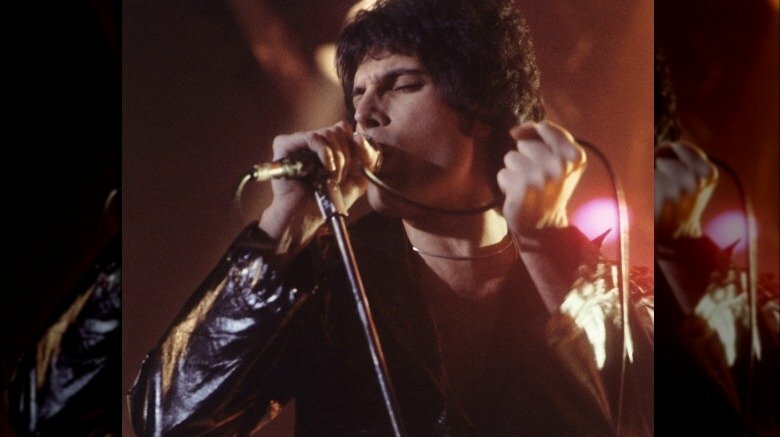 Freddie Mercury didn't just have a legendary singing voice, he also had a legendary strut and a legendary stage presence. He was so charismatic, he could make the legions of people who paid to see him sing do all the singing for him. With that kind of reputation, you'd be forgiven for assuming that Freddie Mercury loved the spotlight. And though he did clearly adore some aspects of his fame, off stage he was an intensely private person — so private that there were elements of his life that even his own bandmates didn't understand. People like that usually remain mysteries until long after they've died, when the people who knew them finally feel compelled to bring some of those secrets to light. That doesn't mean this is an exhaustive list of Freddie Mercury's secrets. A lot of those secrets almost certainly died with him or will die with the people who promised not to reveal them. But these are some of the secrets that came out after Freddie Mercury's tragically early death. 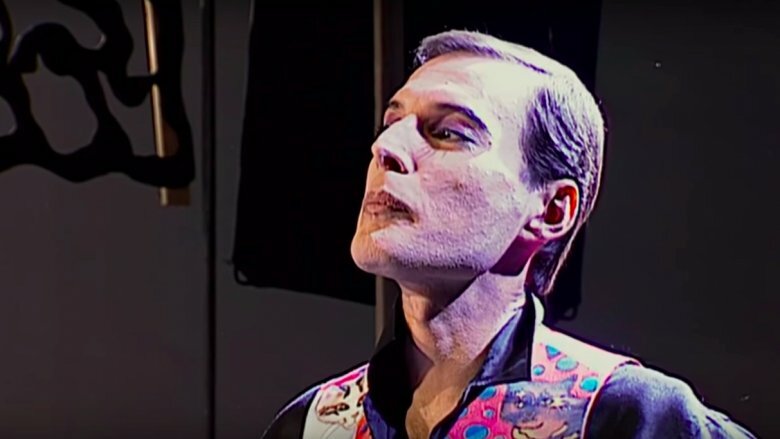 Freddie Mercury's body was cremated, but there was no ash-spreading ceremony or even an announcement of where the singer wanted his ashes to go. Only one person knew what he wanted done with them, and it's pretty unlikely she'll ever be compelled to reveal the secret. According to Rolling Stone, former fiance and long-time friend Mary Austin said Mercury "suddenly announced one day after Sunday lunch, 'I know exactly where I want you to put me. But no one's to know, because I don't want anyone to dig me up. I just want to rest in peace.'" So Austin kept Mercury's ashes for two years, until long after her comings and goings stopped attracting the attention of the press. Then she told everyone she was going for a facial and buried his remains in secret. Still, because fans will be fans, there's loads of speculation about where, exactly, Mercury's remains might be. Some think Austin took him all the way to Zanzibar, though "I'm going for a facial" would be a weird way try and cover that up. Others think he's under a tree in his own backyard. All that guessing is almost certainly never going to amount to much, though, because the only person who knows for sure where Mercury is will probably take the secret to her own grave. In the 1980s, HIV was a death sentence. So it really wasn't that uncommon for people to just not want to know if they had the virus. Now, there are certainly some major ethical problems with engaging in risky activity and then neglecting to get tested, but it's at least understandable why someone wouldn't want to face the possibility that they'd contracted a universally fatal disease. According to journalist Tim Teeman, Mercury was one of those — he might have suspected, at some point, but he wasn't diagnosed until 1987, after Kaposi's sarcoma (a type of cancer) appeared on his shoulder. Longtime partner Jim Hutton said up until that point there'd been no real indication that Mercury was ill, even though Kaposi's sarcoma is an advanced symptom of AIDS. Even after that, he was never open about his illness. He didn't even tell his family — after his sister spotted Kaposi's sarcoma on his foot and asked about it, he simply said, "You have to understand that what I have is terminal. I'm going to die." And that was all he would reveal. 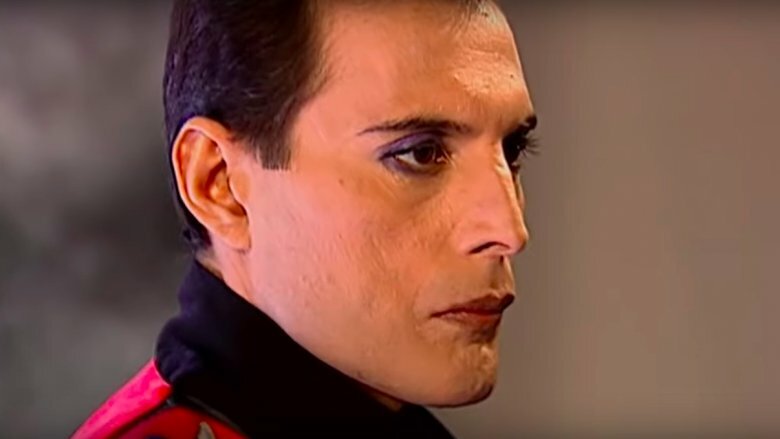 Freddie Mercury was able to navigate the line between celebrity and private person with grace, but for some celebrities, the constant attention can be crippling. 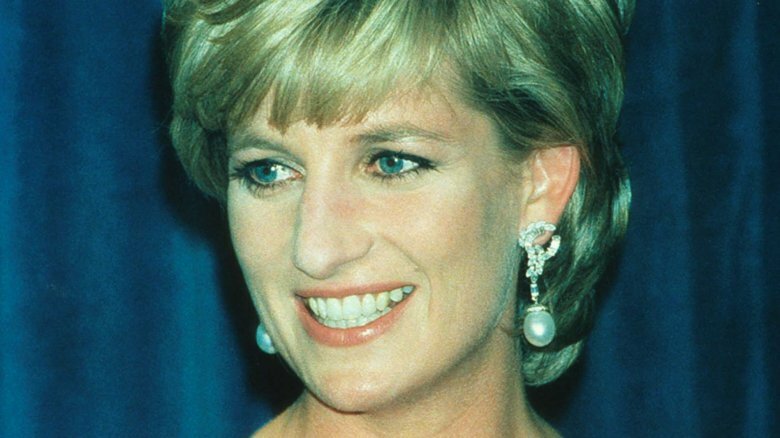 Lady Diana was one of the most notoriously harassed celebrities, and the constant media attention was especially hard on her. According to Rolling Stone, Mercury, who befriended Diana in the mid-1980s, sympathized with her and once conspired to take her out for a paparazzi-free night on the town. So he and a couple of friends dressed Di in "an army jacket, dark aviator sunglasses and a leather cap to conceal her hair," and then snuck her into the most notoriously raucous gay bar in London. The ploy worked flawlessly — the bar patrons were so dazzled by the presence of Mercury and his friends that they paid no attention to the princess, who was able to spend the entire evening in anonymity despite being surrounded by a crowd of people. Diana was so thrilled with the experience that she told Mercury and his friends that she hoped to do it again. Because Mercury was one of the first celebrity AIDS victims, people are often surprised to hear that he was once engaged to a woman and that she remained very close to him even after he started having relationships exclusively with men. (This aspect of the Bohemian Rhapsody movie was pretty accurate.) Even though they never married, Mercury often referred to Mary Austin as his wife, and in a 1985 interview he once said, "All my lovers asked me why they couldn't replace Mary, but it's simply impossible. I couldn't fall in love with a man the same way I did with Mary." Mercury was involved with Jim Hutton for the seven years prior to his death, but he left the former hairdresser with a pittance compared to what he reportedly left to Mary Austin — she received the bulk of his estate, including his money, his mansion, and his recording royalties. And Austin wasn't exactly kind to Hutton after Mercury's death, either, because she kicked him out of the house shortly after the singer's passing. Don't feel too bad for the guy, though, he did all right. He took the £500,000 Mercury left him and used it to build a home in his native Ireland. He remained in Ireland until his death in 2010. 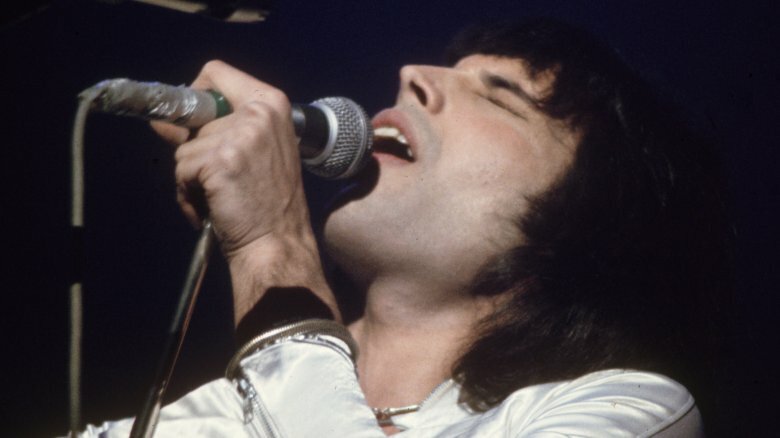 Freddie Mercury knew he was dying, but he refused to feel sorry for himself. He wanted to remain productive, preferably while free from unwanted media attention. So he chose to keep his diagnosis a secret. "He didn't want to be looked at as an object of pity and curiosity," bandmate Roger Taylor told Entertainment Weekly in 1999. "And he didn't want circling vultures over his head." Mercury kept recording throughout most of his final years, even when it became very difficult for him. 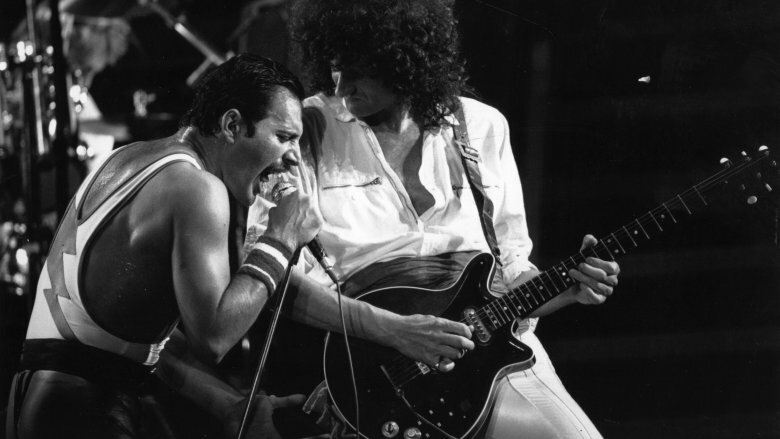 According to GQ, Queen released the single "The Show Must Go On" just six weeks before Mercury's death, and the singer was so ill during recording that bandmate Brian May expressed concern about whether he'd be able to do the vocals. "And he went, 'I'll f*cking do it, darling," May later said. "Vodka down and went in and killed it, completely lacerated that vocal." He couldn't keep it up forever, though. While recording "Mother Love" he stopped before the last verse, and then said, "I'm not feeling that great, I think I should call it a day now. I'll finish it when I come back, next time." But there was no next time — Mercury never went back to the studio and May sang the last verse of "Mother Love" himself. It's hard to believe that the guy who wrote the words "So you think you can stone me and spit in my eye" might have been anything but contentious in real life, but Mercury's onstage reputation did not follow him into his personal life or even into his relationship with his bandmates. 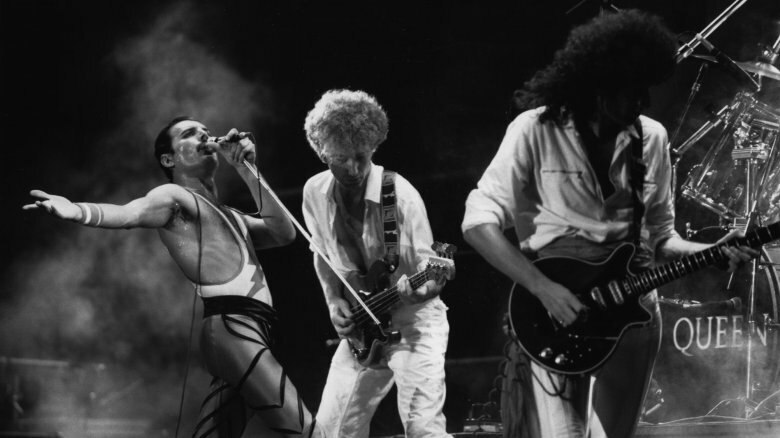 In fact Mercury was really the more level-headed of the bunch, especially when it came to disagreements between the other members of Queen, which were evidently quite common. 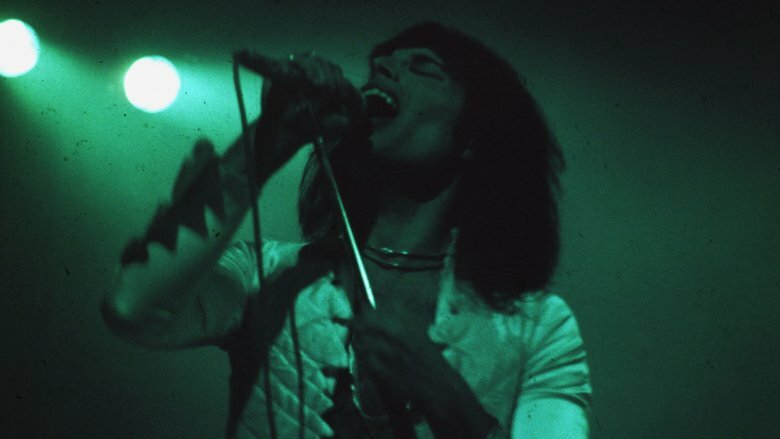 Mercury once said the band "argued about everything — even the air that we breathe." Yet somehow the band persisted through it all, and according to the Hollywood Reporter, Mercury's bandmates said the front man was the guy who usually ended up keeping the peace. "It was normally Roger and I who were at opposite ends," Brian May recalled in 2007. "Everyone thinks that Freddie was difficult. Actually Freddie was great. He was a great diplomat." For a while, Freddie Mercury sort of lived the rock star stereotype — after he split with Mary Austin, he embarked on a series of relationships with men and was well known for his wild parties, which sometimes featured waiters with the backs of their pants cut out. But he mellowed a bit as he got older. According to Tim Teeman, Mercury's relationship with Jim Hutton started out sort of semi-monogamous. Mercury did some game-playing in the early days, using Hutton to make his other lovers jealous and using other lovers to make Hutton jealous. Finally, Hutton got fed up and gave him an ultimatum. "I told him he had to make his mind up. And he said, 'okay,' he wanted to be with me. Deep down I think that he wanted to be secure with someone who was down to earth and not impressed by who he was." Mercury told Hutton about his AIDS diagnosis in 1987. A lesser man might have taken that as a reason to end the relationship, but not Hutton. "Don't be stupid," he told Mercury. "I'm not going anywhere. I'm here for the long haul." And he was true to his promise — he remained with Mercury throughout the singer's long illness and was at his bedside when he died in 1991. 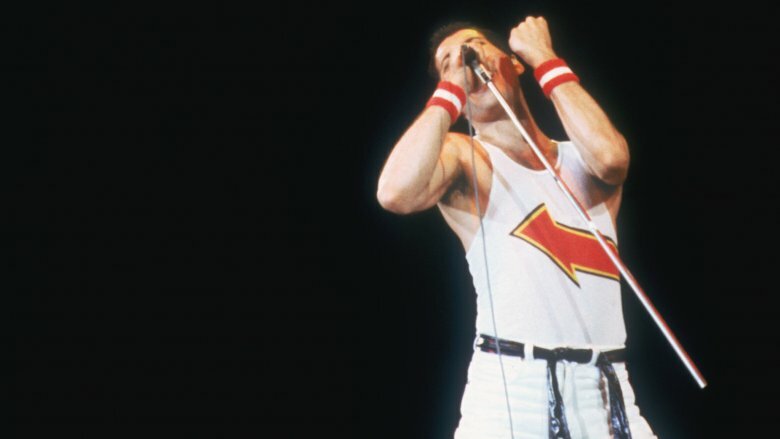 Much has been made of Freddie Mercury's incredible "four octave" singing voice, which allowed him to reach the depths of "Somebody to Love" and the heights of "Under Pressure." His vocal range was so impressive that in 2016 it even inspired a team of European scientists. According to Scroll.in, Mercury always believed it was his teeth that gave his voice that special quality, which is why he never tried to have them corrected despite the fact that he was painfully self-conscious about them. But the 2016 study concluded that it wasn't his teeth but his vestibular folds. If you have no idea what those are, neither does anyone else. In fact Mercury himself had probably never heard the phrase "vestibular folds," but he used them in a way most people don't. The vestibular folds are a pair of membranes located just above the vocal cords, which are sometimes called "false vocal cords" because they're not typically used for making sound. Mercury could use his to create "subharmonic vibration," which is how he produced that growl he's famous for. As for his four octave singing voice, the team wasn't able to confirm or deny the phenomena, so that remains an unanswered question. Freddie Mercury was private about pretty much everything in his life, but he was especially private about his sexuality. "We both thought our relationship, and being gay, was our business," long time partner Jim Hutton said after his death. But he was so private about his sexual orientation that even his bandmates were mostly in the dark about it. "We were very close as a group," drummer Roger Taylor said in 1991. "But even we didn't know a lot of things about Freddie." According to Ultimate Classic Rock, it wasn't just the band who was unaware of Mercury's sexual orientation, for a while it was also Mercury himself. "I knew a lot of his girlfriends, and he certainly didn't have boyfriends in those days, that's for sure," Brian May said in 2008. "I think there was a slight suspicion but it never occurred to me that he was gay." Mercury did have a few rare moments of honesty disguised as playful banter. When asked point-blank if he was gay, he'd usually reply that he was "as gay as a daffodil," which is a rather clever way of getting around the question since no one really has any idea how gay a daffodil actually is. The HIV virus doesn't kill directly. It attacks the immune system, which makes it possible for secondary infections to move in. The diseases and infections that kill AIDS patients are often diseases and infections that don't bother healthy people — Kaposi's sarcoma, for example, which was Freddie Mercury's first symptom, is a cancer caused by the human herpes virus 8. Human herpes virus 8 won't cause symptoms in a person who has a healthy immune system. That's what makes AIDS such an insidious virus — it's not a single disease, it's a lot of diseases, and the symptoms patients end up having are particular to the viruses, bacteria, fungal organisms, and other microbes that that individual patient is exposed to. Freddie Mercury had Kaposi's sarcomas, but as the disease progressed he developed other horrifying complications. In 2017 guitarist Brian May told the Sunday Times Magazine that one of Mercury's ugliest complications was in his foot. "Tragically, there was very little left of it," May said. "Once, he showed it to us at dinner. And he said, 'Oh, Brian, I'm sorry I've upset you by showing you that.'" Ultimately, though, it was pneumonia that killed the singer — a relatively common end for a very uncommon person. 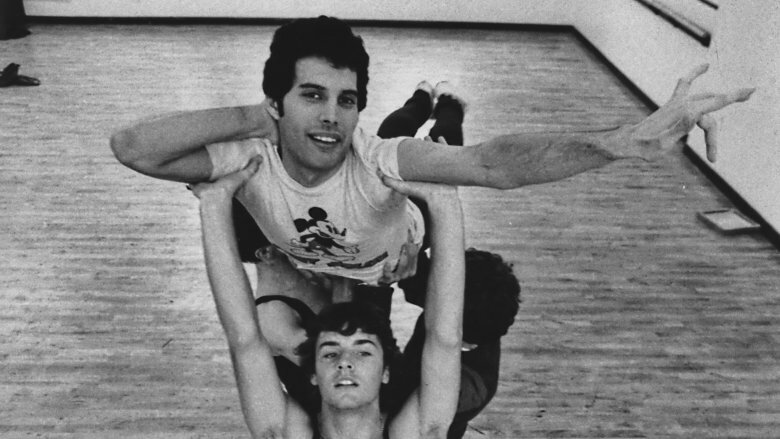 Freddie Mercury had a long list of royal friends — enough to befit a Queen. First there was his actual royal friend, Diana, Princess of Wales. Then there was Michael Jackson, king of pop, and Sir Elton John, who didn't really have a "king of" nickname but did write the three worst songs from The Lion King. In those days Sir Elton John wasn't a sir yet, he was just another famous musician with a glamorous stage presence and a love of parties, and not the kind with cake and streamers. 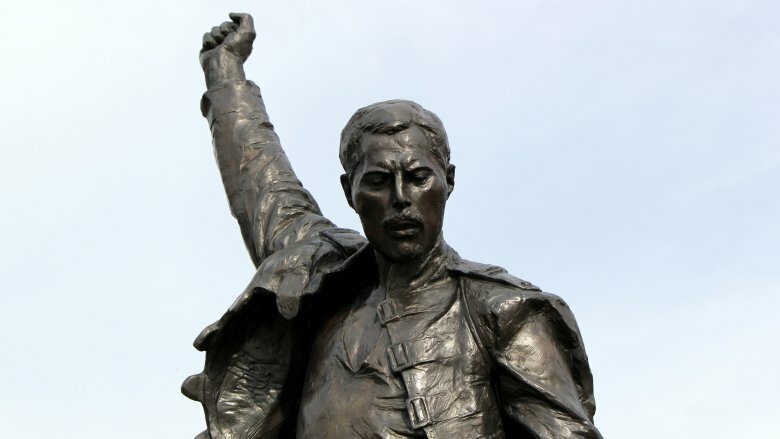 "Freddie Mercury could out-party me, which is saying something," John said in the 2012 biography Mercury. 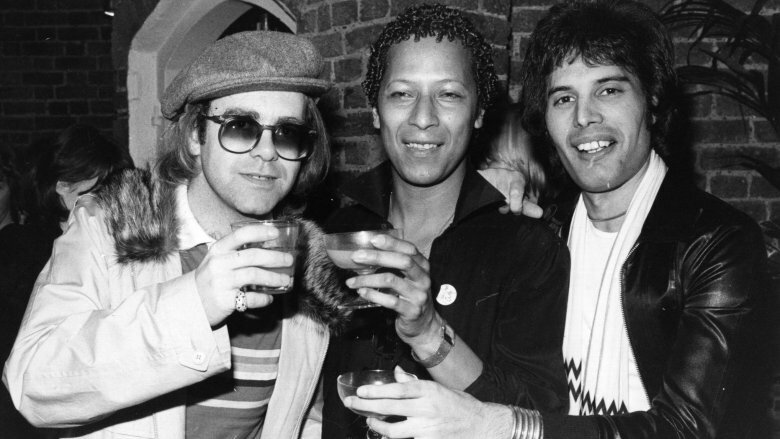 John and Mercury were more than just drinking buddies, though. Mercury evidently thought highly enough of the fellow entertainer that he spent some of his final days choosing a Christmas gift for John. Eerily, it arrived a few days after the Queen front man's death, a literal gift from beyond the grave. It was a painting by one of John's favorite artists, wrapped in a pillowcase with a simple note that read "I thought you'd like this." Of all the pop stars you've heard of, both past and present, there probably aren't too many that you'd immediately peg as "that dude who wishes he could sing opera." But Freddie Mercury is definitely one of them (if not the only one of them). He called "Bohemian Rhapsody" a "mock opera," and though there's definitely some tongue-in-cheek stuff in it there's some pretty clear love for the form in there, too. And in case you still had doubts that the rock icon was also an opera fan, he even recorded a "classical crossover" album with operatic soprano Montserrat Caballe, which was released in 1988 under the title "Barcelona." Mercury's mother said that, had he lived, he would have gone on to write rock opera. Granted, not traditional opera, exactly, though she also said that traditional opera was one of the forms he loved as a child. Of course moms always say stuff like that, so don't take her word for it — Mercury's long-time partner Jim Hutton once also said that he probably would have gone on to write opera or ballet scores. Mercury even ventured into that territory in life, once performing ballet at a London Coliseum charity gala. So you really can't pigeonhole the guy the way you can some other rock stars. He was definitely not a stereotype. Sexuality isn't just straight or gay — it's possible (in fact probably fairly typical) to be a lot more complex than that. But in Mercury's day people would sometimes assume that you had to be either one or the other, so after the public learned he had AIDS, folks sort of collectively decided he must have been gay. But Mercury wasn't gay in the strictest sense of the word. 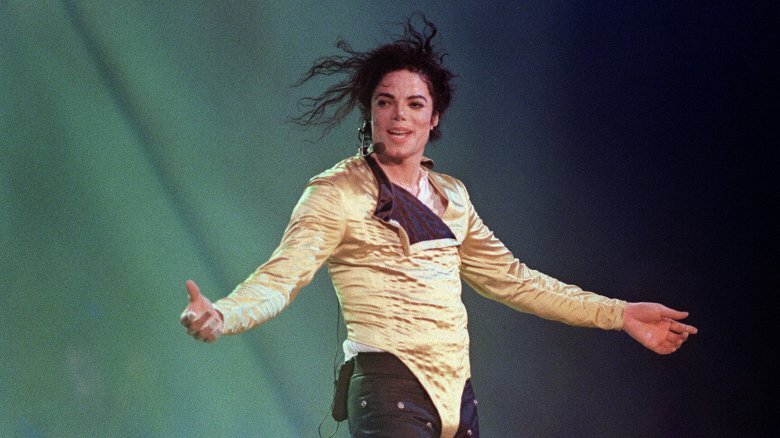 He continued to profess his love for ex-fiance Mary Austin even years after their physical relationship ended. Besides once declaring that he couldn't love a man the same way he loved Austin, the Hollywood Reporter also says his "two greatest love affairs" were with women. So he was emotionally drawn to women but physically drawn to men. 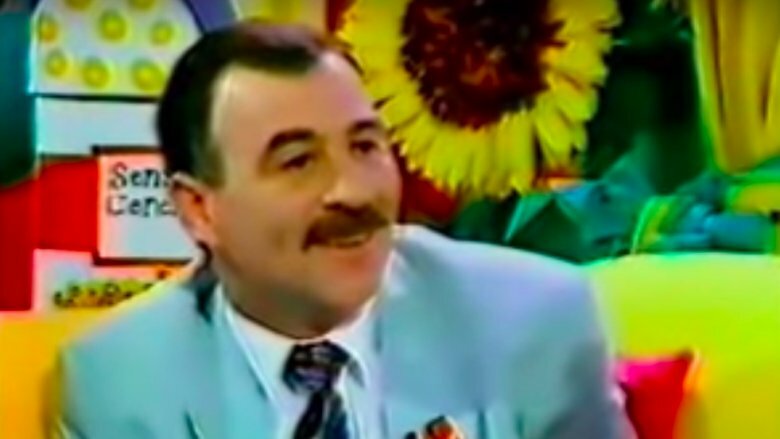 That does seem to have caused some upset toward the end of his life — even though he spent his last seven years in a relationship with Jim Hutton, he still thought of Mary Austin as his soulmate, and therefore the natural heir to his fortune. Freddie Mercury was friends with Michael Jackson, because of course he was, but as it turns out, Mercury was just too wild and crazy for Jackson's tastes. That's right, the guy who owned a chimpanzee, had dreams of building a giant robot replica of himself, and once tried to buy Marvel Comics so he could star in a Spider-Man movie thought Freddie Mercury was too wild and crazy to hang out with. According to the Hollywood Reporter, Mercury and Jackson were planning to record several songs together, but they could never really find the time to do it. (It might have also had something to do with the fact that Jackson kept bringing his pet llama to recording sessions.) And then ultimately, the two stars had a falling-out "because the U.S. star objected to Mercury taking too much cocaine in his living room." And when someone is too wild for a guy like Michael Jackson … well, maybe we really don't know that much about Freddie Mercury after all.